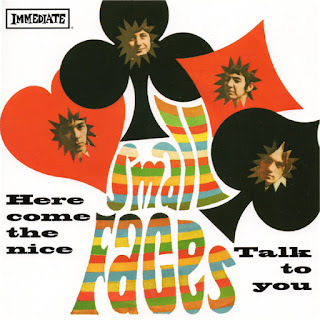 Spinning today in the ‘rock room’ is the flip side of the ‘Small Faces ‘ British 1967 (Immediate 050) single ‘Here Come the Nice’. Released on June 2, 1967 the day after Sgt. Pepper, and smack dab at the beginning of the ‘Summer of Love’, the ‘B’ side ‘Talk to You’ is a hearty slab of Mod R and B. While the hazy amphetamine of the ‘A’ side, ‘Here Come the Nice’ would reach number 12 on the British charts and become one of the band’s most recognizable classics, the flip exhibits the true soul of the band. 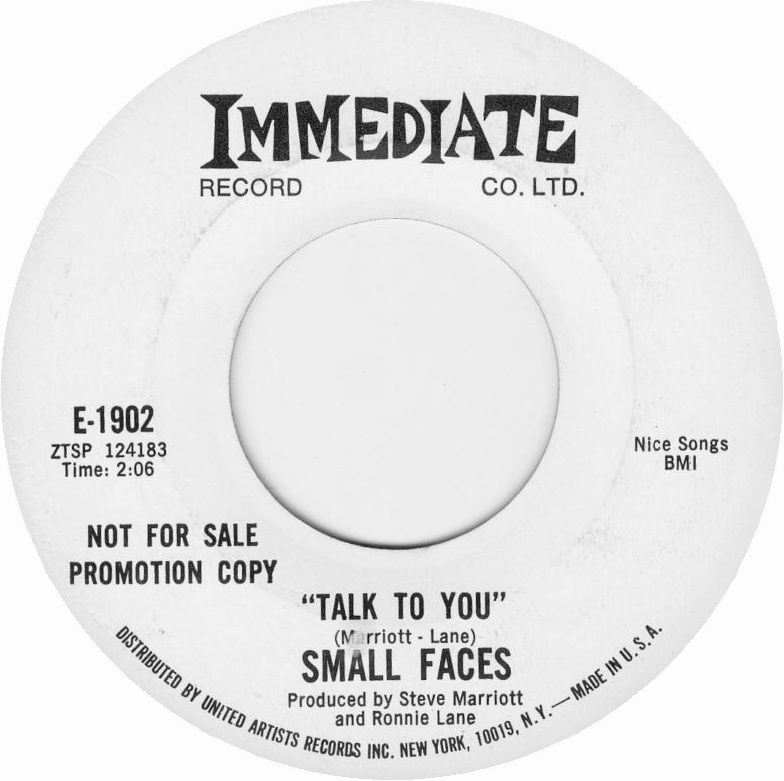 The song was also placed on the corresponding British LP, Small Faces and its US full length counterpart release There Are But Four Small Faces. Although the ‘Small Faces’ short lifespan 65-68 was enveloped by thick smoke and psychedelic imagery, their Mod beginnings were always deeply entrenched in R and B roots similar to their contemporaries , ‘The Who’ and ‘The Pretty Things’. ‘Talk to You’ is a lively example of the band at their best. The song is usually available in stereo, but there is a mono version with a bit more ‘umph’, that can be heard as a bonus track on the 2014 reissue of the There Are But Four Small Faces album. When the needle drops ‘Talk to You’ begins with a strong and serrated Steve Marriott guitar riff, doubled by a honky picked clean guitar overdub that tucks beneath the distortion. 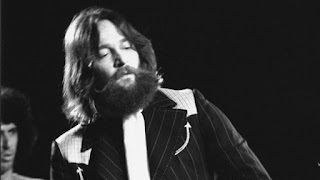 Marriott’s guitar creaks in all the right places as Kenny Jones signals the song proper with a heavy handed snare stomp. 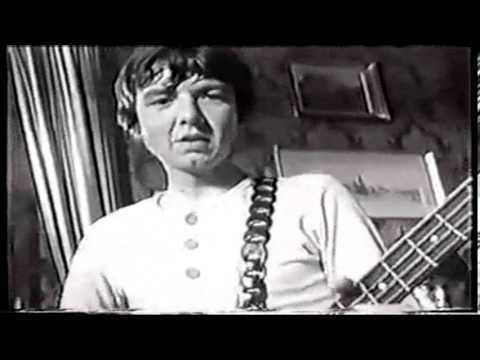 Ronnie Lane ties in with Jones using a ropy loping bass, recognizable because of its trebled ‘plonk’. The groove is set with drum timed thick plectrum strums and Marriott’s demanding shout to ‘Listen!’ The track is reportedly Marriott’s pleading to model/actress and former Jagger love interest, Chrissie Shrimpton. The unabashed lyrics ask the songs subject to simply take the time to talk. Marriott doesn’t want anything, he doesn’t want to ‘share her car’, or ‘stop her from being a star’ he wants to ‘Talk to You’ (her). The content is Marriott’s discontent with being treated as a ‘fan boy’ when what he is seeking isn’t very much, just some time and attention. His gritty vocals intensify the yearning and inject the cut with juice. In typical fashion, Marriott is stellar, and in the ‘rock room’s humble opinion his vocals are easily the best of the 1960’s rock era. It’s obvious to those who listen to the ‘Small Faces’ who Robert Plant’s favorite vocalist was! Throughout this track Marriott pushes with breathy asides, and percussive grunts. His inspired chorus vocals are responded to by Lane’s smooth asides that shadow Marriott’s larynx shredding shouts. Entering into the second verse of 'Talk to You', Ian McLagan echoes the melody with perfectly placed descending piano triplets attached to the song’s central lick. Amazing that for a classic two minute single how the urgency is increased with the crisp overdub of McLagan’s thumping piano. A perfect example of why the music from the mid 1960’s is so enduring, the time and attention to detail; each element of a single release was subject to attention and experimentation to disseminate the perfect musical moment. Before the listener realizes it, the cool minor chord middle eight slides in like a flash, and acts as a launching pad to the final set of verses. Again, Ronnie Lane ghosts Marriott’s vocals, but now drifting through the middle eight as well as the verse. Each and every detail an important sonic print collaborating to become a perfect 1960’s single, and this is just a ‘B’ side! Lasting almost exactly two minutes, ‘Talk to You’ contains all of the things that make the ‘Small Faces’ so wonderful in a tightly wound and quickly expressed package. Included here for your enjoyment, is the accompanying promotional film for the single, shot with the band jamming (miming) at the Ruskin Arms pub in East Ham, London. A great film and period piece, Ronnie Lane looks at one point to tell the cameraman to ‘go away’ to his own enjoyment. While the ‘Small Faces’ never properly ‘broke’ in the US, were stymied by poor management and disbanded way before their time, their discography continues to be investigated and discovered to this day; thanks to the power of their songwriting and performances. In a strange way their follow up bands, ‘Faces’ and ‘Humble Pie’ enjoyed the recognition that ‘Small Faces’ never did, but that recognition always leads back to the formative R and B roots of the ‘Small Faces’. Explore the nooks and crannies of their compacted catalog as there remain a number of beautiful classics that await enjoyment.